Indigenus, the largest global network of independent healthwellness communication companies, announced the winners of the 5th annual indiGENIUS Awards at a ceremony in Goa, India, during the network’s biannual partners meeting. 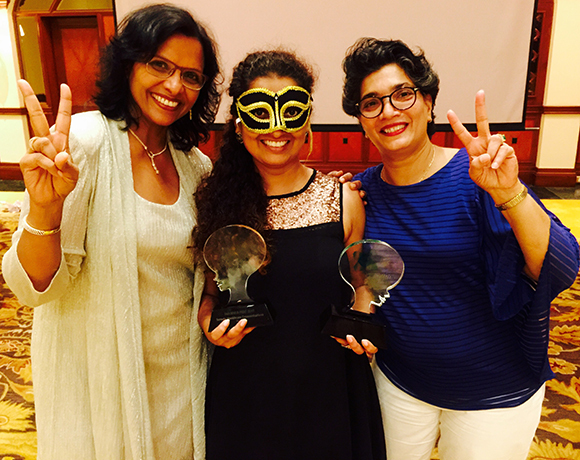 GOA, INDIA, November 24, 2015 -- Indigenus, the largest global network of independent healthwellness communication companies, announced the winners of the 5th annual indiGENIUS Awards at a ceremony in Goa, India, during the network’s biannual partners meeting. The indiGENIUS Awards recognize outstanding creative work produced by Indigenus agency partners in the print, print collateral, experiential, digital, film, radio, integrated campaign, and self-promotion categories. Nine of the 16 agencies took home awards, and Sorento Healthcare Communications, the meeting’s host agency, won “Best in Show” for their Novartis Tsunami print campaign. “The work awarded at our annual awards represents the best of what Indigenus has to offer—locally grown, world-class creative” said Rico Viray, Chairman of Indigenus and Founding Partner of The Bloc in New York. This year's indiGENIUS Awards winners were chosen by a jury of creative directors in the network from over 60 campaigns submitted by Indigenus agencies. About Indigenus: Indigenus is dedicated to helping clients get unstuck, with an innovative and unique multilocal model that drives topline growth across brand portfolios through creativity and innovation, and improves the bottom line through quality and value. Indigenus delivers full-service capabilities, proven solid collaboration, and 100% global coverage. Sixteen top-ranking partners in key developed and emerging markets provide local insight and creative and innovative programs to maximize success in growth brands. IndigenusSky (global transcreation centers) provide unmatched cost-effective support for secondary markets, mature brands, and local adaptation projects. 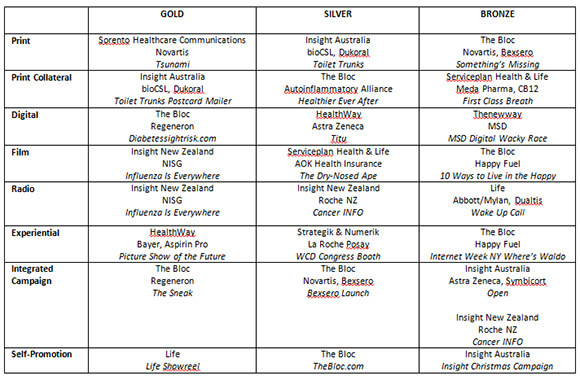 Americas: The Bloc (United States), CPC Healthcare Communications (Canada), Thanks (Brazil), Marketing Latino (Mexico); Europe: serviceplan health & life (Germany), Strategik & Numerik (France), thenewway (Italy), HealthWay (Poland), umbilical (Spain), gHealthcare (Turkey), Life Healthcare Communications (UK), Lindh & Partners (Scandinavia); Asia: PharMa International (Japan), Sorento Healthcare Communications (India); Oceania: Insight (Australia and New Zealand). Visit www.indigenus.net to learn more. 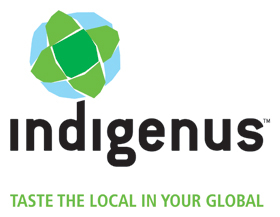 NEW YORK, Aug. 5, 2014 /PRNewswire/ -- Indigenus, the largest independent global network of healthwellness communication companies, is pleased to welcome Mariana Sanchez de Ovando as the SVP Global Executive Director of Indigenus. NEW YORK, Sept. 10, 2014 /PRNewswire/ -- Indigenus, the largest independent global network of healthwellness communication companies, today announced the addition of two leading European independent agencies: Mission-Systole of Belgium and HealthWay of Poland. The expansion allows Indigenus to cover the important pharmaceutical regional markets of Benelux and Central & Eastern Europe/Russia. The highlight reel of our bi-annual Indigenus meeting in Toronto, Ontario in November 2013. Thank you to our hosts CPC Healthcare Communications and the Gardiner Museum. IFs (Indigenus Forums) are a series of invite-only events hosted by Indigenus agencies that bring top thought leaders together to help solve some of our industry’s most pressing challenges. At these forums, marketing executives from premiere pharmaceutical companies and key experts in their fields share best practices and learn new ways to grow their business. The first meeting in the series was held in Richmond, UK, and was facilitated by independent consultant Simon Rhind-Tutt from Relationship Audits Limited. Senior marketing, procurement, and agency leaders from the EU -5, Turkey, Canada, and the US were in attendance, and examined how to find the right balance between global and local marketing needs. The Indigenus take of eyeforpharma - interviews with Florian Bernsdrof (Indigenus co-Chairman and Indigenus Germany), Matthieu Blanchais (from Indigenus France) and Xavi Sánchez (from Indigenus Spain) along side Thushani Kumarasinghe (vp of eyeforpharma).